Cheerwine pound cake might sound like a novelty, but it is a seriously good and proper pound cake, worthy of a place on a cake stand. Most beloved soft drinks were invented in the South. That makes sense. All over the world, sweet beverages are most popular in hot, humid places. Many traditional soft drinks were the invention of shopkeepers and pharmacists who appreciated that their clients could use a little refreshment and relief, not to mention a boost from copious amounts of caffeine and other stimulants. Certain soft drinks enjoy a devotion so deep and true that it could be called a cult following. That certainly applies to Cheerwine. In 1917 a general-store owner in Salisbury named L.D. Peeler created this fizzy concoction. There is no historical marker for the first time and place that some creative home cook poured soda pop into cake batter, but the idea took hold fast, especially as these products flourished after World War II. Almost all community cookbooks include a recipe or two for a cola cake. 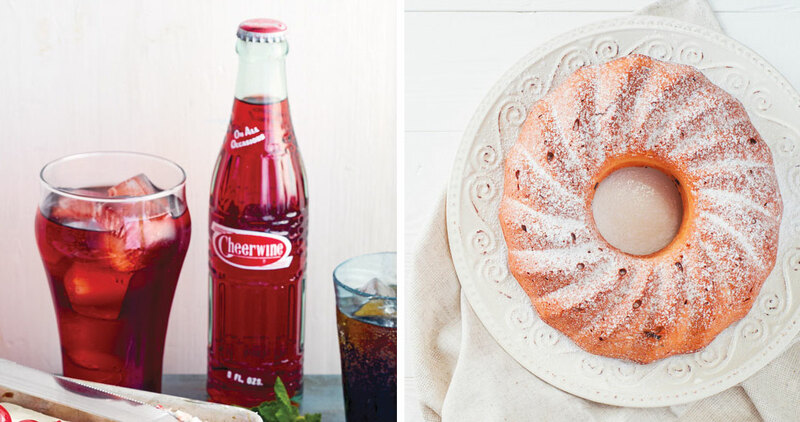 Cheerwine pound cake has a delicate golden crust and a moist, dense crumb. It needs no frosting, only a sprinkling of confectioners’ sugar, like fairy dust. It keeps well for days, if it lasts that long. Beat the butter, shortening, and sugar in a large bowl with an electric mixer set to high speed until the mixture is light and fluffy, 5 to 7 minutes. Whisk together the flour and salt in another large bowl. Add the flour mixture to the butter mixture in thirds, alternating with half of the Cheerwine, beating only until the batter is smooth after each addition. Quickly beat in the lemon and almond extract. If you want the cake to have a deep pink color that suggests Cheerwine, tint the batter with the gel. Start with a little and work up to the desired shade, keeping in mind that a large amount of food coloring can make the cake taste bitter. Scrape the batter into the prepared pan. Gently tap the pan on the counter to remove air bubbles. Bake until a tester inserted into the center of the cake comes out clean, 1 hour 15 minutes to 1 hour 30 minutes. Cool the cake in the pan set on a wire rack for 15 minutes. Turn out the cake onto the rack and let cool to room temperature. Dust with confectioners’ sugar, if you wish. 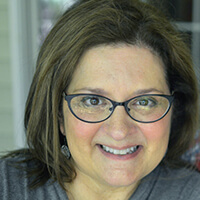 This story and recipe originally appeared in “A Carolina Cake Tour” from the February 2014 issue with four other regional cakes. See them all below. The hallmark of cooking in the Mountain South is resourcefulness, making utterly delicious dishes from modest ingredients. Consider the stack cake: many thin layers of sorghum-sweetened cake married together by thick, fragrant filling made from dried apples. There is no cake — perhaps no recipe — more rooted in Appalachian mountain culture. The meek might never taste a black walnut. The outer husks of these tree nuts are a mighty fortress, resembling a petrified tennis ball. Black walnuts must be pounded into submission, by mallets or more. Once open, not everyone appreciates the bitter flavor of black walnuts. Those who do, however, do so passionately. We North Carolinians love our native grapes. Compared to the imported, thin-skinned, seedless grapes found in the grocery stores, muscadines might seem like a lot of trouble, but they are worth it. The skins are thick and the pulp is shot full of stubborn seeds. Ah, but the flavor, the perfume, the musky sweetness. No other grape compares. As far as fruit is concerned, the Outer Banks is a punishing place: sandy, salty, stormy, and sizzling hot in summer. For some reason, fig trees accept that challenge. A dozen or more different varieties of figs, many of them native, grow along the Outer Banks. Figs are so popular on Ocracoke Island that they practically star in the island’s annual Ocrafolk Festival.